All it took for one of the most prodigious online poker players of all-time to be able to return to the virtual felt after Black Friday was a change of residence –a change of residence that requires a passport that is! Phil “OMGClayAiken” Galfond is now officially living in Canada; at least for the next 3-6 months according to his Twitter account. Galfond was quick to return to action as he was spotted at the high-stakes PLO tables on PokerStars taking on the likes of Viktor “Isildur1” Blom and Ben “Sauce123” Sulsky; Galfond ended up as a small loser for the night according to highstakesdb.com. 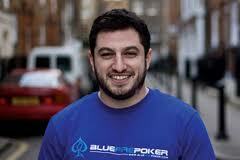 It will be interesting to see how many players follow Galfond’s lead and move to pro-online poker locales in order to play –the number of players going this route could depend on if and when Full Tilt Poker makes good on the $150 million in players funds that are currently locked up on the site. This entry was posted on Tuesday, July 26th, 2011 at 9:46 am and is filed under Poker News. You can follow any responses to this entry through the RSS 2.0 feed. You can leave a response, or trackback from your own site.